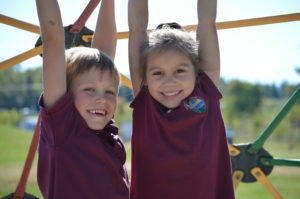 The lower school consists of pre-kindergarten, kindergarten, and grades one through four. We strive to keep our class size to around 20 students, which allows for multiple opportunities for individual attention for each student. Every lower school teacher dedicates him or herself to fulfilling the school’s mission in our students by creating numerous learning opportunities daily in a safe and nurturing environment. 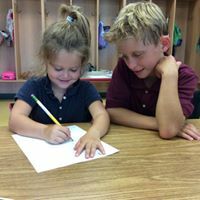 Teachers are able to get to know each individual student in his or her classroom on a personal and academic level thus helping them to individualize instruction for all the students in their classroom. Our lower school has a comprehensive and rigorous curriculum helping students achieve academic excellence. All grades use the Saxon Math™ program. Pre-Kindergarten through second grade also use the Saxon Phonics™ program. Each grade focuses on literacy, spelling, grammar, writing, math, science, and social studies. 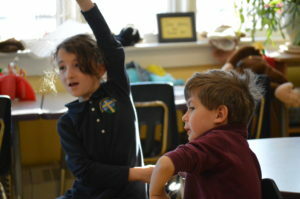 Lower school teachers are trained in the Responsive Classroom® approach to teaching and classroom management. Each student is encouraged to actively participate in lessons. We work to create a spir it in which all children feel accepted, respected, and confident in sharing their views, ideas, and opinions. Our teachers are so unique and dedicated to each child that you will often see older children stopping in to say hello or to give a hug to a previous year’s teacher. A variety of informal and formal assessment tools are used not only to evaluate a student’s mastery of essential content and skills but the child as a whole. 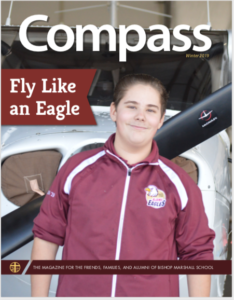 Teachers administer conventional quizzes and tests throughout the year in preparation for the students to take the Terra Nova standardized tests. 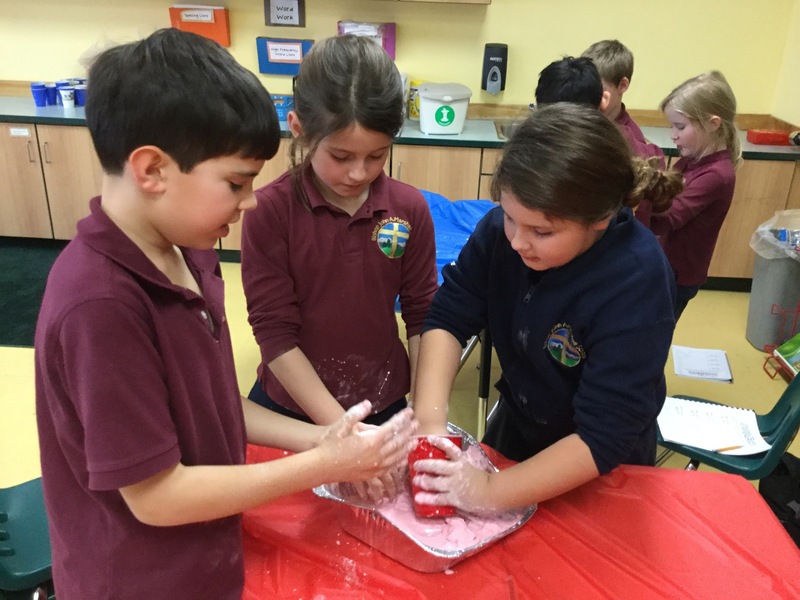 As you walk down the hallway of the lower school at BJAMS, you will hear all the sights and sounds of great learning happening. Each classroom is filled with bright displays and bulletin boards boasting students’ learning and accomplishments. Children and teachers are talking, discussing, sharing, and laughing together. It is truly a place in which you know the best learning is happening!